The World's Ultimate Self Tanning Mitt. The extensive research and efforts have culminated in a new product, called the 'Ultimitt'. 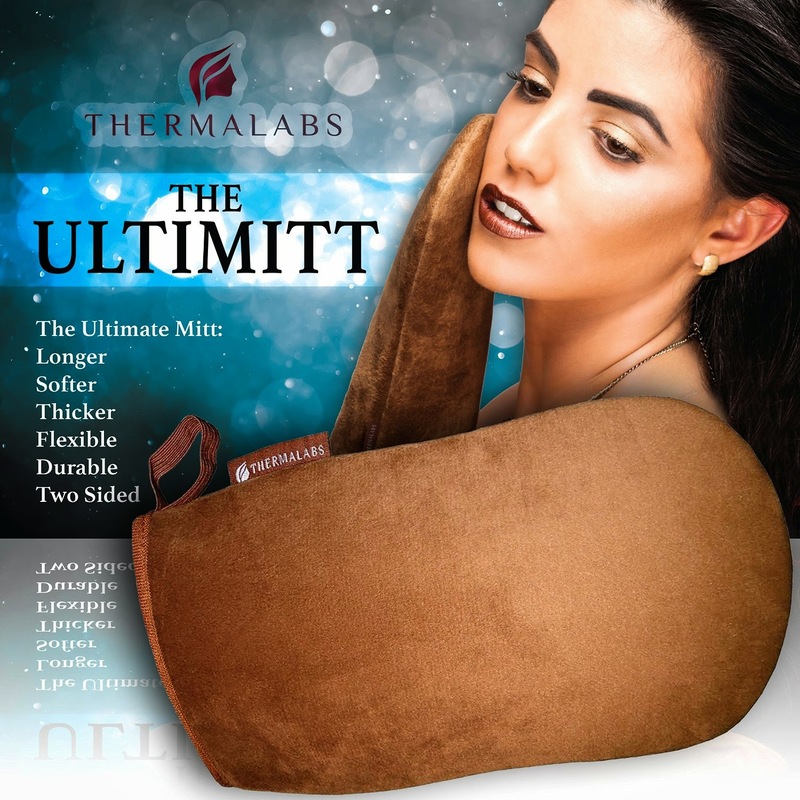 Already referred to by a section of reviewers as the 'big secret to your perfect tan', Ultimitt is the market's best Tanning Applicator Mitt... And here's why... It unlocks a treasure trove of benefits you didn't see with any other mitt. Ultimitt is a better, premium quality than any other mitt. >>> It's stretch, crack and break-resistant. >>> It's easily washable, and comes with a one year guarantee. Yes, you have 1 FULL YEAR guarantee. If it breaks or cracks you can have it replaced! This was the first self tanning mitt I have ever tried BUT I have heard and seen other talk about them and seen them used. This mitt seems better than a lot of others. The first thing I noticed about it was how super soft and well made it is. It is thick but easy to use. I used it and loved it. My no bake self tanner went on great with it. It provided great application and it was super easy to clean. I love that it came with a smaller finger one. It made doing my face easy and it great for those stubborn areas that need touching up. Overall a great self tanner mitt. It even came with a storage bag. I recommend this self tanning mitt to anyone looking for a great one.